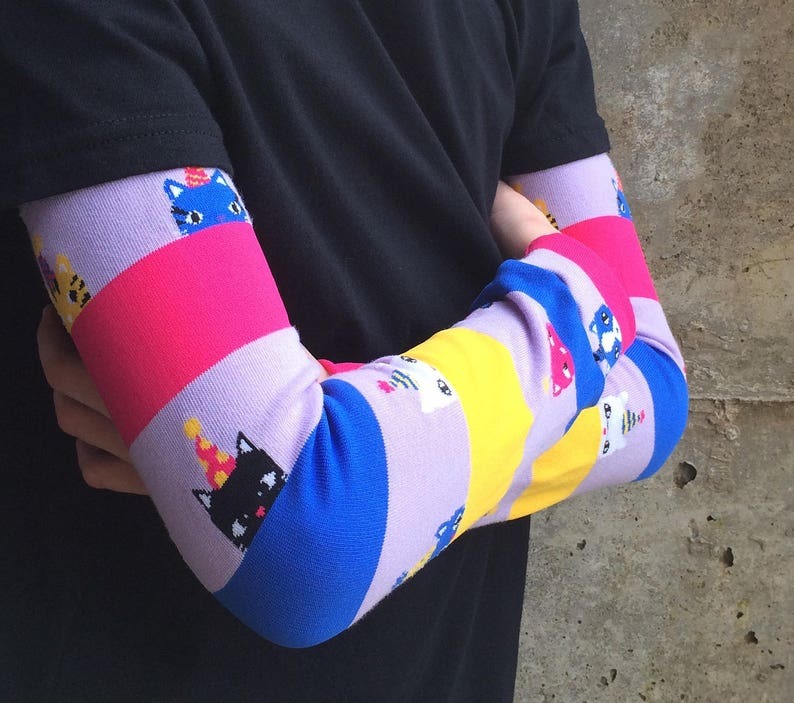 These Birthday Party Hat Cat arm and leg warmers are a perfect gift for boys or girls. A high quality fun and functional accessory for babies, toddlers, kids and tweens. Great party favor!